I have always been a huge fan of the Maybelline Color Tattoo eyeshadows. It was definitely love at first sight. They are so beautiful, and long lasting, that I found myself picking up new ones almost every time that I went to the store. They can be worn on their own, or layered under eyeshadows. I always find myself incorporating them into almost every makeup look that I create. 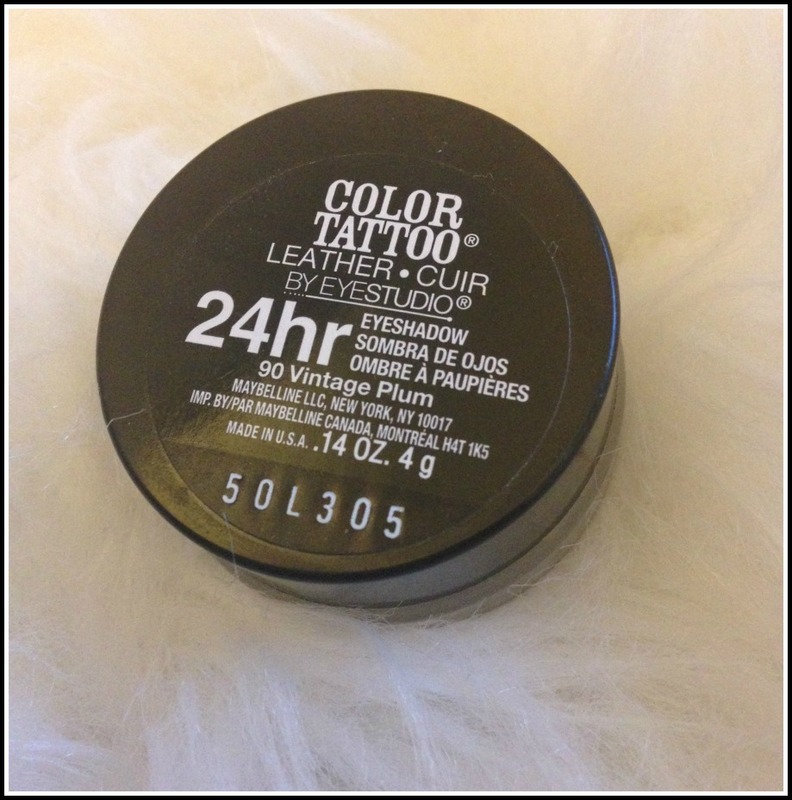 I was very excited when Maybelline came out with their Color Tattoo Leather collection. I heard lots of good things, and I couldn’t wait to get my hands on them! I had trouble finding them at first, because they seemed to be sold out at most places. I finally found some, and I picked out “Vintage Plum.” I’ve been doing lots of plum looks lately, to go with my new dark hair, so I figured that Vintage Plum would make the perfect base. 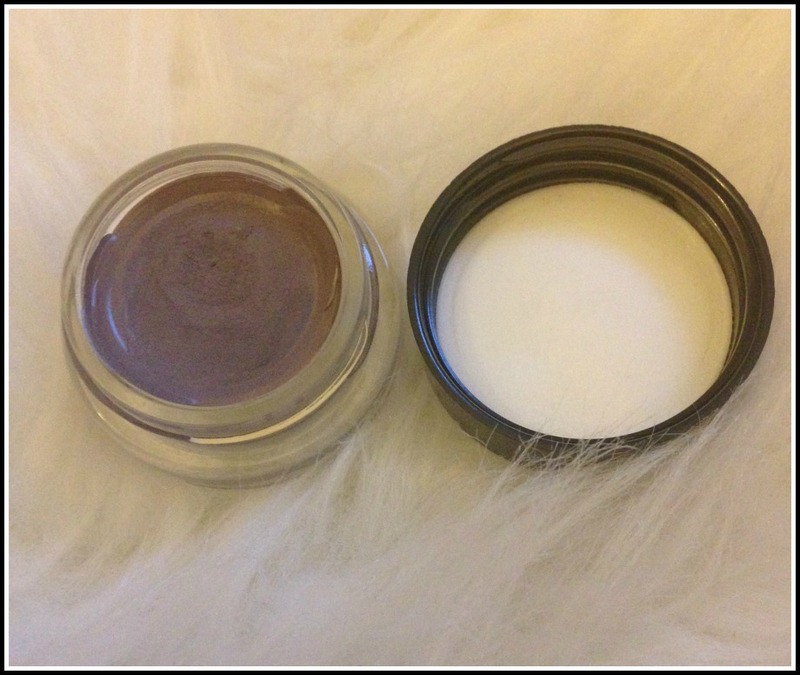 At first glance the color looks pretty similar to Maybelline Color Tattoo’s “Tough as Taupe” however, once applied, the colors are pretty different. Both are cool toned, and as the names suggest, Vintage Plum is a dark plum, and Tough as Taupe is a dark brownish taupe color. 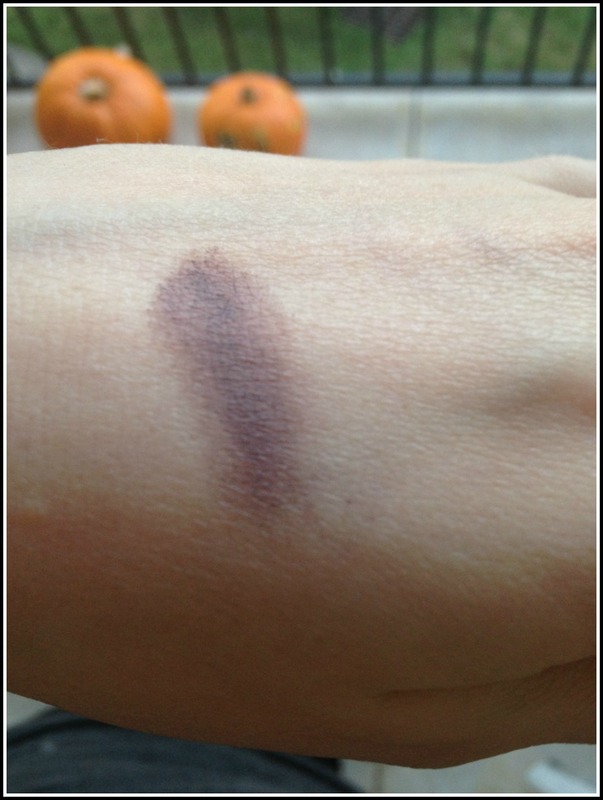 I was extremely disappointed as soon as I swatched Vintage Plum, and even more disappointed when I tried to incorporate it into a look. Vintage Plum applies SUPER patchy, and for me, it was almost impossible to build the color up. Every time I tried, the color shifted around, and I could not get an even application. It was extremely frustrating to work with. I had to layer an eye shadow over it to cover the patchy parts, so it’s hard for me to determine if it wears as long as the other Color Tattoos, which don’t budge. The times that I have worn this (which is sometimes by accident, ha), it seems that my eyeshadow has migrated more than usual. I am not impressed. I want to get a few more other colors from the Leather Collection and see if they are any better, but I definitely do not recommend Vintage Plum. I am still on the lookout for a nice plum base, so if you know of any, please comment below! In the meantime, here is a look at Vintage Plum swatched next to some of my other Maybelline Color Tattoo Eyeshadows. 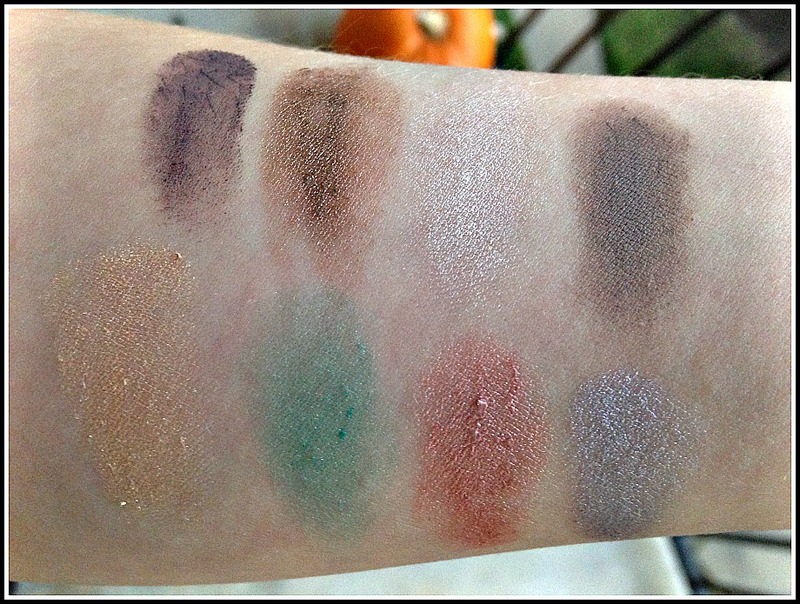 I recommend ALL of the original Maybelline Color Tattoo Eyeshadows, except for the purple one. They are incredible! My two favorites are Tough as Taupe and Bad to the Bronze. Tough as Taupe can make a killer smokey eye! This entry was posted in Beauty, Beauty Advice, Maybelline, Reviews and tagged Bad to the Bronze, Barely Branded, best, color, Cool Crush, Edgy Emerald, eyeshadow, Inked in Pink, Leather, Leather Collection, maybelline, Maybelline Color Tattoo, review, swatches, Tattoo, Too Cool, Tough as Taupe, Vintage Plum, Worst. Bookmark the permalink.